Garnet black color. 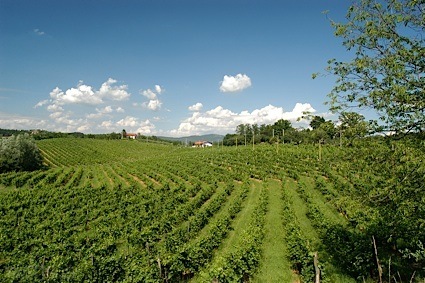 Mature aromas of dried figs and dates, goat stew, steak rub, and leather and cream soda with a supple, crisp, fruity medium body and a graceful, refreshing, snappy sweet cherries, chocolate ganache, straw, and toasted nuts finish with crunchy tannins and moderate oak flavor. A juicy cab that hits all the right notes. Bottom Line: A juicy cab that hits all the right notes. 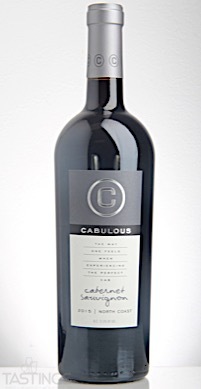 Cabulous 2015 Cabernet Sauvignon, North Coast rating was calculated by tastings.com to be 86 points out of 100 on 9/12/2017. Please note that MSRP may have changed since the date of our review.